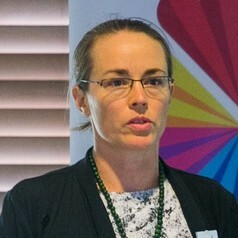 Dr Harriet Radermacher is a qualitative researcher whose work over the last ten years at Monash and Victoria Universities in Melbourne, Australia, has focused on the experiences of people from diverse cultural backgrounds in a range of areas including ageing, palliative care, disability, and gambling. Harriet also works as a research and evaluation consultant, and is a research and policy officer at the Australian Psychological Society. She completed a doctorate in Community Psychology in 2006.